Prior to seeing their ad on Groupon the other day (regretfully, I didn’t purchase it), I had never even heard of this small lunch spot in downtown Boulder. In fact, the only reason I even discovered it was because we went ice skating on the temporary rink right outside (also highly recommended!). Though I can imagine the Market being filled to the brim with lunching workers, I was surprised it was not a more popular student hangout. But for my crew, it might be from now on. 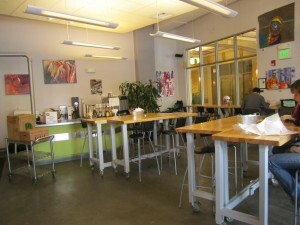 Immediately upon walking in, I loved the casual, communal-style dining. So Boulder. Ya, ya, ya. But for lunch, you’re supposed to be talking to your neighbor! The menu was diverse in sandwiches, not in categories. One of the most shocking elements of the Boulder Creek Market was, in fact, their creative and hard-to-find sandwich options, such as ostrich and buffalo. Nevertheless, my friend and I bargained to share a chicken and a turkey. I know, kind of lame. 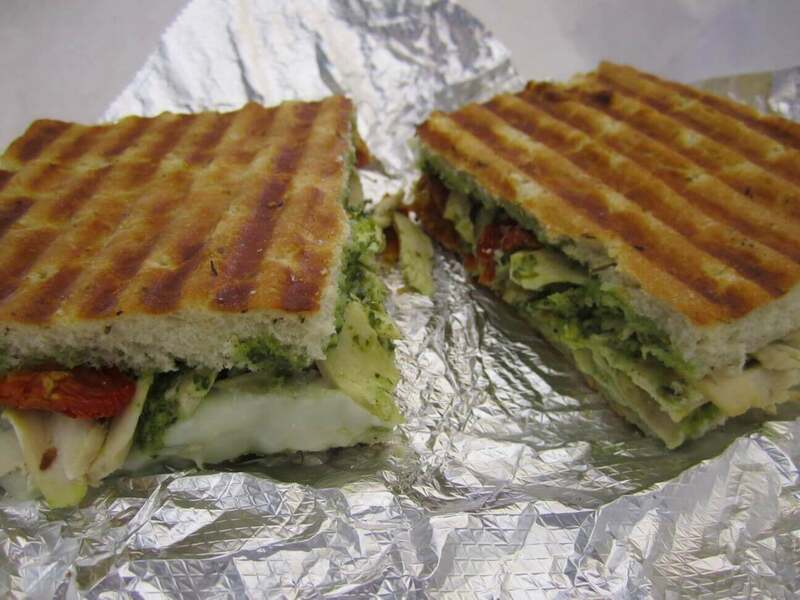 First up, and my personal favorite, the Sun-Dried Tomato Chicken Panini, loaded with chicken breast, sun-dried tomatoes, monterrey jack cheese and basil pesto, pressed on Foccacia bread. 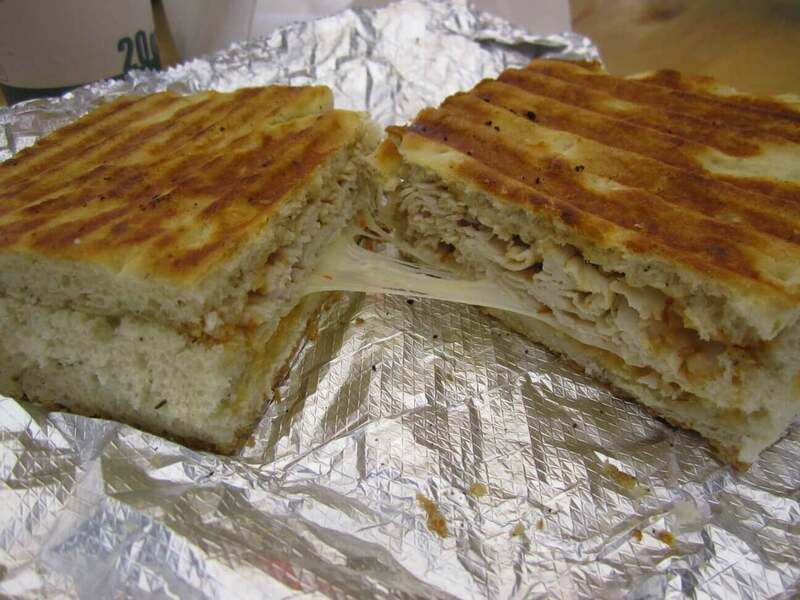 When I think of my dream sammie, here it is. Though not the best I’ve had (I typically can’t resist when I see this combo on a menu), it was pretty damn good. And its no surprise considering they use only freshly-baked bread, quality ingredients, and made with love by the smiling man in the kitchen. 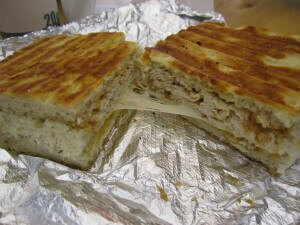 We also shared the Picante Turkey Panini, packed with gourmet turkey, pepperjack cheese, and chipotle mayo. I must admit, this sandwich achieved no where near the level of satisfaction that the above produced. But look at that oozing cheese! Nothing with that much gooey cheese could be bad. Perhaps I would have loved some more veggies or tasty ingredients, but it was still pretty delicious. Last up, customer service. Often this goes unnoticed in busy establishments. But at the Boulder Creek Market, this is clearly a priority. Immediately upon walking in, the cashier engaged us in conversation and was ready to answer any questions we had about the menu, and I always have plenty. Upon payment, he proudly announced that they offer free drinks on Saturdays. 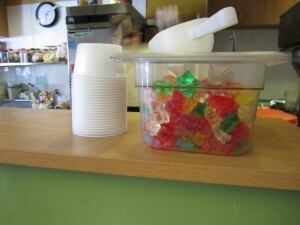 And here’s the kicker…he offered us to help ourselves to free gummy bears while we waited. COME ON! They probably could have fed us dog food for lunch and my (21 year old) friends and I would have continued to drool over the free candy. But luckily, the food was far above par! There are plenty of great sandwich spots in Boulder, but none of them offer stellar service, complementary drinks on Saturdays, and free gummy bears while you wait. Pair some ice skating with Boulder Creek Market, and it sounds like a pretty epic day. Slide is altaulcy a altaulcy distinct season as it is often commonly a representation of the at all times internal and external well being. Fall brings the non secular training involving getting seated and based in great wellbeing as well as seem ideas; or else you will be susceptible to big winds blowing an individual in several recommendations just like dropping leaves. The most important session with this season should be to put back making any kind of lifestyle changing important judgements prior to the sunshine results. I wanted to post you this tiny word to fillnay say thanks the moment again for the pretty views you’ve provided here. It has been quite remarkably open-handed with people like you to supply unhampered just what numerous people would have advertised as an e book to help make some profit for their own end, chiefly now that you could have tried it if you desired. The smart ideas likewise worked to become a easy way to fully grasp that other people have the identical passion just like mine to know way more on the topic of this matter. I’m sure there are millions of more pleasurable periods in the future for people who discover your site. We’re looking for you to model for us. Are you interested? You are able to still take into consideration seavrel advised organized tours with various limo skilled services. A handful of offer medieval software programs a number of will administer you genuinely to get automobile for any capital center, or possibly checking out the upstate New York. ??????? I have noticed that over the cosure of building a relationship with real estate proprietors, you’ll be able to get them to understand that, in every single real estate financial transaction, a commission amount is paid. In the long run, FSBO sellers will not save the commission payment. Rather, they struggle to win the commission by simply doing a good agent’s work. In the process, they commit their money in addition to time to accomplish, as best they might, the responsibilities of an agent. Those jobs include revealing the home by marketing, offering the home to prospective buyers, creating a sense of buyer desperation in order to prompt an offer, booking home inspections, controlling qualification checks with the loan provider, supervising maintenance tasks, and facilitating the closing of the deal. Hiya, I’m really glad I’ve found this information. Nowadays bloggers publish just about gossips and web and this is actually annoying. A good website with interesting content, that’s what I need. Thanks for keeping this web-site, I will be visiting it. Do you do newsletters? Can’t find it.